Live cinema artists Potter-Belmar Labs remix, re-edit, and reconsider Vilgot Sjöman's controversial 1967 films, I Am Curious (Yellow) and I Am Curious (Blue), through a live cinema performance the duo debuted at the Heights Theater in Houston in September 2010. The same theater was gutted by fire in 1969 by arsonists protesting I Am Curious (Yellow)'s alleged obscenity. PBL's performance expands on the films' kaleidoscopic, multilayered nature, exploring the films' themes of sexuality and politics as well as the context of the broader censorship movement of the age and the phenomenon of reactionary violence in our own time. 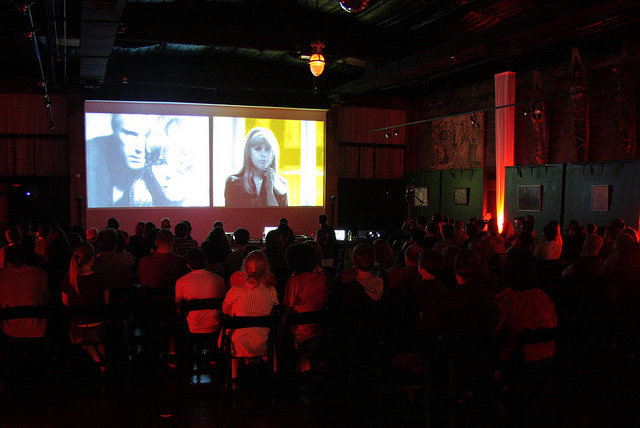 Commissioned for and premiered during Aurora Picture Show's Media Archeology festival, September 2010. I Am Curious (Remix) by Potter-Belmar Labs from Potter-Belmar Labs on Vimeo.